This inspirational research first establishes and then explores the intrinsic links that exist between the Art and Science of Tree Care. Those links exist deep in our psyche because our species evolved in environments that almost always included trees. Sadly those instinctual ways that we all still see and experience trees lie so deep that we typically ignore them and miss their very real significance, until now. The study of Tree Morphogenesis reveals for the first time some surprising insights into how trees use environmental extremes to creatively grow and diversify their structures. What emerges is nothing less than a new paradigm in the form of a fundamental organising principle that applies to almost all trees. 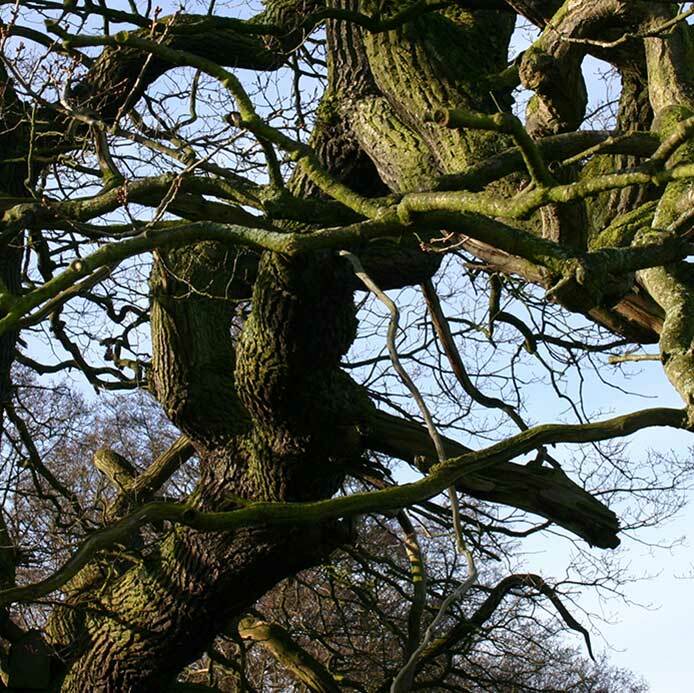 Understanding that fundamental organising principle is in itself a personal paradigm shift that delivers many practically useful insights for tree owners and professional tree carers alike. The first book in the series reveals for the first time, just how elegantly simple but also how efficient and effective tree’s structural life strategies really are and understanding how trees really work and grow is a concept that tree owners and tree carers need to harmonise on, before any really effective tree care takes place. The process of reading the first book is designed to make you feel as though you are merely being reminded of things that you already know (because you do). In that process you will be shown just how you really see things and make sense of your environment and just how amazingly fast it happens when an instinctive function of your eyes and your imagination combine to see trees holistically. While it is a technical study of trees and how they grow, everything has been tried, tested and applied to thousands of trees over 29 years, so this is a practical guide into how to prune trees in the way that they are designed by their long evolution to be pruned. Yes, trees are “designed” to be pruned and that is new information that every tree carer and tree owner need to understand. Blurring the artificial boundaries between Art and Science this book delivers powerful insights for tree owners and Arborists alike that will change the way that you see trees and change the way that you understand, preserve and manage the trees in your care. So take a brand new tour of Trees in the broadest sense as well as your eyes, your instincts and your imagination to begin your personal exploration by first understanding that Fundamental Structural Organising Principle that almost all trees live by. Just order the first book in this series, either the Kindle version or the latest edition in large format print. 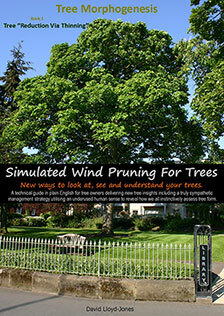 What you will learn will guide your interactions with trees for life and enable you to specify and get (or deliver) the truly sympathetic , efficient and effective tree care that for very good reasons we call “Simulated Wind Pruning”. Register here for updates and further developments. We have launched on Kindle so that the costs of obtaining a detailed appreciation of Tree morphogenesis and the associated tree management strategy "Reduction Via Thinning" is as low as possible.There are in fact two Kindle versions. The concise version contains very few images (in contrast to the full version) but the most interesting images are available via our website registration. Keeping the price low is all so that we can reach as many tree owners as possible with these new and innovative ways of understanding and managing your trees sympathetically. However, this book is not cut down in any way as it states the intent to literally chan ge the way that you see trees and change the way that you look at trees. This book was designed for large page sizes and it follows, large image sizes too so if you want a traditional reading experience with nice and large images to study in your favorite chair, this is probably the version for you. 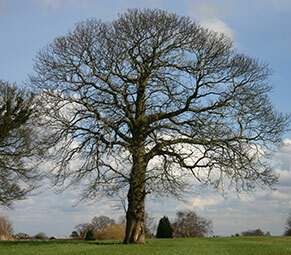 "Do you ever wonder how you see and perceive trees or indeed anything? It’s a funny question because we rarely think about something so fundamental and so unavoidable. Posing that question at all makes you realize that you don't even have ready access to the language to begin to question something that you do instinctively so asking yourself that question, tests the self imposed boundaries of perception. I think therefore I am" suggests surely that "I see, therefore I perceive". Well it doesn't necessarily because seeing is somewhat subjective. Sure, the depths of visual acuity rely on how well your eyes work but the quality of your perceptiveness comes also from the ways that your brain processes and interprets the visual messages streaming into it from your eyes. the volume of data should be overwhelming but it isn't because we create shapes to simplify and map our world more efficiently. It's the conjunction between the capacity of the eyes and the brain's capacity to manage that data. Trees have acutely familiar shapes and forms that grab the attention of our eyes and our imagination and it is that reaction that is explored. More than that though, in part it relies on how de-tuned you are to your instinctive responses because it seems to me that we tend to dismiss instincts when we don't understand their origins perhaps even misinterpreting them as mystic. Dismissing such instincts can feel like an act of discerning higher consciousness but may in fact be simply narrowing the full scope and penetration of your visual field. Well I bet you now wonder how this applies to Arboriculture, tree care, tree surgery and sympathetic tree management but it does and by reading Tree Morphogenesis book 1 Reduction Via Thinning, you will begin to understand why.